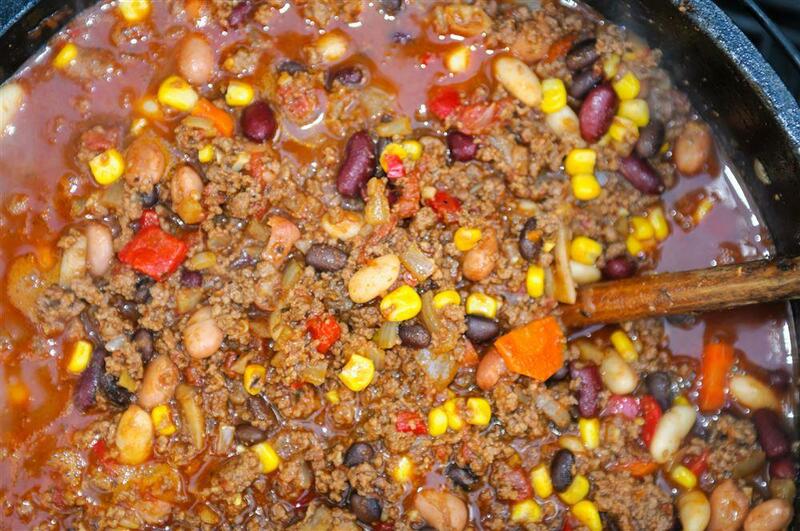 Time on High: 2 to 3 Hours Time on Low: 5 to 6 Hours When the weather turns colder and the leaves start to change, there is nothing better than a bowl of warm, comforting and satisfying Southwest Chipotle Chili. This is a great game day crowd pleaser too! Prep: Brown the ground beef and chorizo in a skillet until cooked thoroughly before adding it to the Crock-Pot® slow cooker. Chop all the peppers and onion to a medium dice. Into the Crock-Pot®: Drain and rinse the beans, add the canned tomato ingredients, and the can of water (more if desired). Add the peppers, onions, and the browned meat along with the hot sauce, adobo sauce, seasonings and sugar. Final check: Taste test - add salt, pepper to taste and additional hot sauce as desired. - Remove all things adobo - Remove one can of diced tomatoes +/- Replace chorizo with hot Italian sausage +/- Replace can of black beans with can of pinto beans + Add one 16oz can of whole sweet corn ---------- = Very affordable and Delicious!! I would also consider reducing the chili powder and cayenne if you prefer something more mild, as this recipe has a slight kick to it! This is a very bad recipe. Clearly it was not kitchen tested. I wasted money on this dish. If you do decide to make it, keep in mind that the proportion is not for a typical home crock pot but for something much larger meant for catering. I like hot and spicy but even with reducing the chilies and cayenne, this is ridiculously hot. It is not a comfort food by any means.